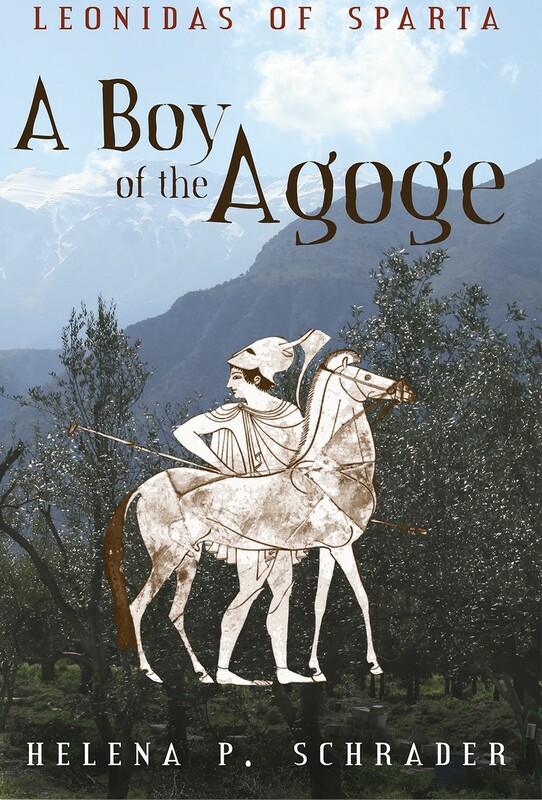 Master Gunner "Blue 7" posted the following review of Leonidas of Sparta: A Boy of the Agoge on amazon. He gave the book five stars as well! I made the mistake of watching the movie "300" before reading Steven Pressfield's "Gates of Fire," one of he most inspiring books I have ever read (so good, in fact, that I got 35 copies of the book for my platoon to read and keep.) One of the best draws of the Spartan legacy is the incredible value they placed on small-unit team-building and self-reliance. 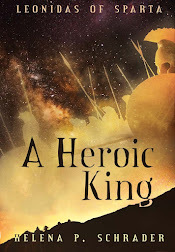 In Gates, Pressfield takes a good look at the upbringing of Spartan youths within the agoge, and how the training led to incredible acts of heroism and sacrifice at the Battle of Thermopylae. Helena Schrader looks even deeper into the agoge system, and personalizes it even further by showing us through the eyes not of a freeborn helot youth (as in Pressfield's case) but through the eyes of Leonidas himself. This book is everything: political intrigue,inter-family jealousy, and teen angst. 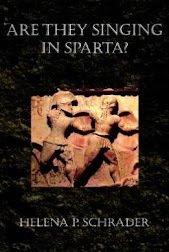 But most importantly, it's well-researched and moredetailed than anything else I havee read on Sparta. (And I've read Herodotus!) Schrader takes research by historians, who have "reverse engineered" (sorry, but it's the closest word I can think of to what I mean) the Spartan agoge by studying the Roman version, which was based on the Spartan system. Taking into account the different terrain (Sparta vs Rome), different governmeent and beliefs (though not incredibly dissimilar), different time periods, and clues in writings by Greek historians, my guess is that this is probably more accurate than most. Finally, sprinkled throughout the book are important themes of self-reliance, and self-determination, respect for laws and traditions, and the importance of comraderie. 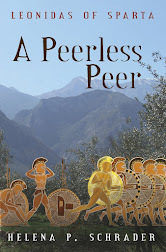 I whole-heartedly suggest this book for anyone looking for inspiration in team-building, a curiosity about Sparta life, or just a great book to lose yourself in. There is general consensus among both ancient and modern commentators that the Spartan agoge was a state-run institution intended to produce ideal soldiers for the Spartan army. Thus Spartan youth were taught only as much literacy as “was necessary,” and great emphasis was placed on physical strength, endurance and discipline. Most modern writers have taken this to mean that Spartan youth were essentially illiterate brutes, who allowed themselves to be whipped to unconsciousness while growing up and after gaining the citizenship dumbly accepted the decisions of the Gerousia and/or king in Assembly and obeyed orders like robots in the army. 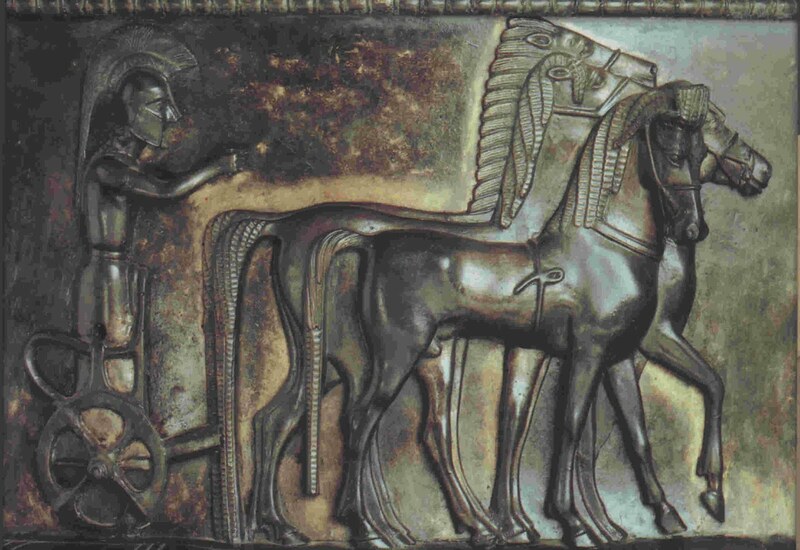 Without even addressing the issue of literacy, which has been handled elsewhere (see Ellen Millender’s excellent article “Spartan Literacy Revisited” in Classical Antiquity, Vol. 20/No.1/April 2001 and/or Jean Ducat’s essay “Perspectives on Spartan Education in the Classical Period,” in Sparta: New Perspectives, ed. Stephen Hodkinson and Anton Powell, 1999), I have a number of problems with this interpretation of Spartan society. First, as any officer can tell you, the best soldiers are not robots who wait for orders but thinking, self-confident men and women who can take initiative and act without – or even against – orders, if necessary. Furthermore, the famous case of Amompharetus refusing to obey Pausanias’ orders on the eve of the Battle of Plataea is a dramatic case in point demonstrating that Spartans not only didn’t always obey orders – not even on the battlefield, much less in other circumstances. Furthermore, it highlights the fact that superiors in the Spartan army did not feel that they could coerce obedience. Amompharetus was not, after all, summarily executed or even relieved of his command. Instead, Pausanias tried to reason with him and finally ordered the rest of the army to move out. Last but not least, Sparta also had sufficient confidence in the judgment of its individual commanders to repeatedly send men of “ordinary” status out act as advisors to foreign powers, such as Gylippus in Syracus. Most important, however, the Spartan assembly was made up of her soldiers and her soldiers knew that they represented the might and power of Sparta. A body in which a large minority was composed of virile young men, in peak physical condition, who have been raised to think of themselves as the elite of their profession is unlikely to have been docile. The men who were to be officers and admirals, magistrates, governors, ambassadors and military advisors around the world rose through the ranks of the army – and all had a voice (and probably a following) in the Assembly. Even if some citizens were indifferent to politics and willing to do what others advised, in every generation there are ambitious young men willing to challenge existing authority. We know for a fact that the Spartan Assembly could be outright rowdy on occassion -- as when the Assembly (“the Spartans” – not the ephors or Gerousia) threw the Persian emissaries of Darius down a well. What the above demonstrates is that Spartan citizens were anything but mindless robots manipulated by their officers and political leaders. They were self-confident citizens with a highly developed sense of their own power and confidence in their own capabilities. And they were the products of the Spartan agoge. In short,the agoge was not designed to produce blind-obedience, senseless acceptance of suffering, or mute endurance of hardship but citizens, who would serve Sparta long after they went off active service in a variety of political and diplomatic capacities. Sparta did not want or need docile political pawns or mindless slaves but rather thinking and responsible citizens capable of assuming responsibility and command. Only if one recognizes these broader objectives of the agoge is it possible to understand how it worked. It is hard to imagine what Sparta would have looked like in Leonidas’ lifetime. The city was destroyed by earthquakes more than once, flooded and the site completely abandoned for more than a thousand years. Today, what few ruins remain date predominantly from the Hellenistic or Roman periods, and an unattractive modern town has been dumped upon the ancient site. It is understandable if one imagines that such a society could only have developed in an austere, plain, indeed barren, landscape. After all, a society deprived of food and clothes, and lacking all forms of decoration and fine cuisine sounds like a desperately poor society. It is easy to assume that Spartan society evolved to make a virtue out of necessity. But the valley of the Eurotas River, the heart of ancient Lacedaemon, is anything but barren! It is green and fertile and stunningly beautiful - like riches cupped in the hands of the gods. From the blooming oleander to the wild iris, the valley is a garden. Orange orchards stretch as far as the eye can see, brazenly advertising the abundance of soil and sun and water. Most spectacular of all, the Eurotas valley is one of those few places on earth that offers the sensually stimulating sight of palm trees waving against a back-drop of snow-capped mountains. Nor is this richness a product of modern fertilizers and irrigation. The ancient historians also speak of Sparta’s agricultural wealth. Sparta’s hinterland produced in abundance every staple of ancient Greek agriculture from grain to grapes, and from citrus fruits to olives. Furthermore, ancient Laceademon was famous for its forests and pastureland. The former provided exportable timber and abundant game to enrich the Spartan diet, while the latter nourished sheep, cattle, goats and fine horses. Finally, Lacedaemon had exploitable mineral resources such as lead, tin, copper and marble. Sparta took full advantage of these natural blessings. 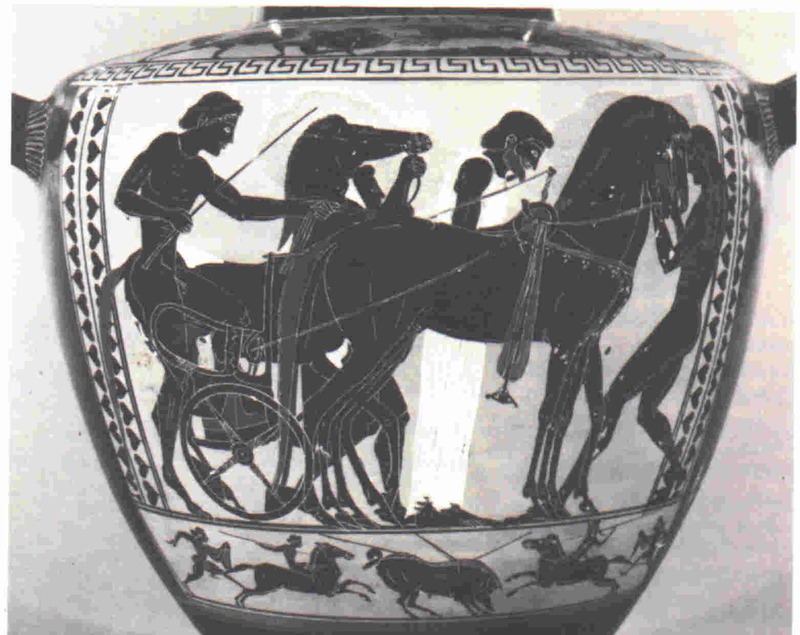 The fact that the ruling class, Sparta’s full citizens or Spartiates, were prohibited from engaging in any profession other than arms, has led many modern observers to imagine Lacedaemon was devoid of industry, trade and commerce. Nothing could be farther from the truth. Sparta’s tiny elite of professional soldiers had the luxury to devote themselves to perfecting their skill at arms precisely because Lacedaemon had a large population of helots and perioikoi who ensured the economic prosperity of the Lacedaemonian state. In short, Leonidas’ Sparta was not poor, but the center of the powerful city-state of Lacedaemon. It was the administrative hub of large territory with an abundance of natural resources and agricultural produce, good lines of communication, and an active commercial and trading community. It was also the leading nation of the Peloponnesian League, a powerful defensive alliance of independent city-states – the NATO of its age. Last but not least, it was the site of annual vocal and dance festivals that attracted mass tourism from around the ancient world. It was most decidedly not a provincial back-water lost in a barren and inaccessible landscape. 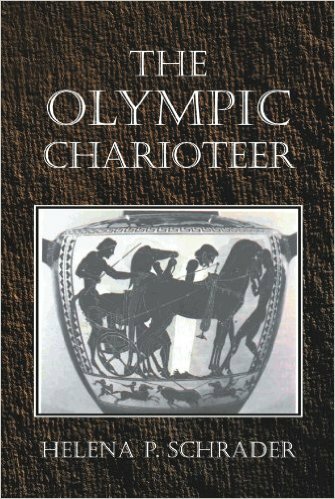 Yet Pausanias, whose travel guide to Greece was written in the 2nd Century AD – long after Sparta’s decline from prominence under Leonidas – needed 26 sections and more than 60 pages to describe only the noteworthy architectural sites of the ancient city! Far from being a backwater, Sparta was a large, prosperous and important city in the lifetime of Leonidas. But, as the Athenian commentary suggests, it was also very different from other Greek cities. Visitors to Leonidas’ Sparta would have come expecting the capital of this rich and powerful state to be like other power-centers of the civilized world. Whether tourists, coming for the dancing and singing at the annual festivals, or diplomats, coming to plead for Spartan troops to support some distant conflict, foreign visitors would have compared Sparta to Susa, Babylon and Memphis no less than Athens or Corinth. These foreigners came expecting a city enclosed by walls whose strength matched Sparta’s military reputation. They expected to pass through imposing gates into a city crammed with brightly painted, colorfully tiled and elaborately decorated public buildings. They expected to find temples laden with gold crushed between pompous civic buildings. They expected to find a confusing maze of residential streets crammed with humanity humming incessantly with activity. They expected – as in other crowded cities – these back streets to be clothed in the perpetual shadows cast by the tall walls which shielded the private spheres and women of the inhabitants from public view. They expected a commercial capital as well as an administrative one. It is hardly surprising that they were disappointed with what they found at Sparta. Sparta was different from other Greek cities, but it was not necessarily without its unique charms. For example, we know that in ancient Greece most statues and temples were painted vivid colors and the statues of the gods were dressed in robes, ivory, gold and jewels. Spartan temples were not. But isn’t it precisely that simplicity of white stone structures of flawless proportions and life-like naked marble statues that we find striking in ancient Greek architecture and sculpture today? Would we admire the Parthenon in Athens as much if it was dressed – as it was in the age of Leonidas - in vivid paint? Would we prefer to see Venus de Milo painted in flesh tones with red lips and blond hair? Sparta’s ethos and aesthetics were different from other Greek cities, but that doesn’t mean it lacked beauty or refinement. Yes, Leonidas’ Sparta had no walls, but this meant it could spread out graciously upon its valley as all major European cities did after their confining walls were torn down. No one today would call Paris, Vienna or Rome “a collection of villages.” Yet all did in fact begin as collections of villages, which later grew into a single metropolis after the need for fortifications disappeared and economic growth fueled urbanization. 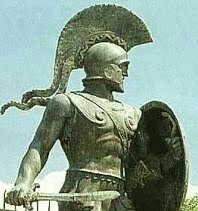 Why should we assume that just because Sparta was made up of five distinct villages in pre-Archaic times that it was not – by the age of Leonidas when it was at the height of his glory – a cohesive, dynamic city? Spartan homes may indeed have lacked elaborate interior paintings, but then maybe such decoration was not necessary because, unlike their Athenian counterparts, they were not compressed into the back allies of an over-crowded city and surrounded by high, protective walls. Spartans could afford to build their houses on generous plans. They could incorporate interior courtyards planted with fruit trees and herbs. They could surround themselves with gardens and orchards. Spartans could have decorated their homes - as they did themselves – with things of nature: cut flowers, bowls of fruits, running water. Even without gold or silver, their homes could still sparkle with sunlight glinting off the water of courtyard fountains. Ironically, Leonidas’ uniquely Spartan city might well have been more pleasing to modern taste than Athens or Babylon of the 5th Century BC. Picture a city spread across the broad floor of the Eurotas valley before the backdrop of snow-capped Taygetos. Picture a city of wide, tree-lined avenues along which the white-washed civic buildings, marble monuments and graceful temples stretched like pearls upon a green thread. Imagine a city of sun-soaked theatres and imposing but airy stoas. Imagine a city where the barracks and civic buildings with their long porches and batteries of Doric columns face green, open spaces set aside for running and horse-racing. Imagine a city decorated with fountains and flowering trees which gradually spreads out into the suburbs where large villas set in blooming gardens sprawl out toward the mountains on either side of the Eurotas. That image will bring you closer to the Sparta of Leonidas.